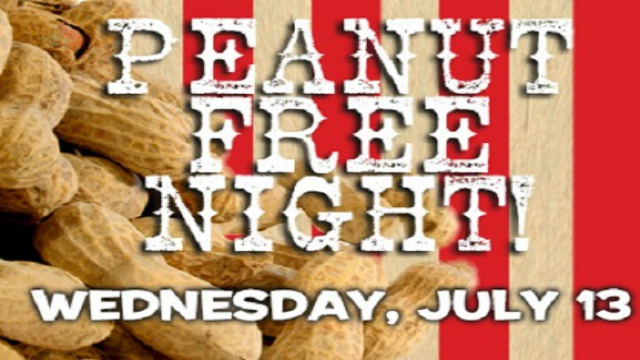 GENEVA, Ill. - The Kane County Cougars have announced that Wednesday, July 13 will be Peanut-Free Night when they host the West Michigan Whitecaps in a 6:30 p.m. game at Fifth Third Bank Ballpark. The game will not include the sale of peanuts or any peanut-related products to allow fans with peanut allergies the opportunity to safely attend a Cougars game. Beginning in 2007, the Cougars have hosted their annual Peanut-Free Night for the last nine years for families of children with peanut allergies. Peanut allergies are one of the most common food allergies and can cause a severe and potentially fatal allergic reaction. In addition to peanuts, the following items will also not be available for fans to purchase on July 13: Dippin' Dots, Oberweis ice cream, Oreo churros, Cracker Jacks, candy including plain and peanut M&M's, as well as cookies and brownies.